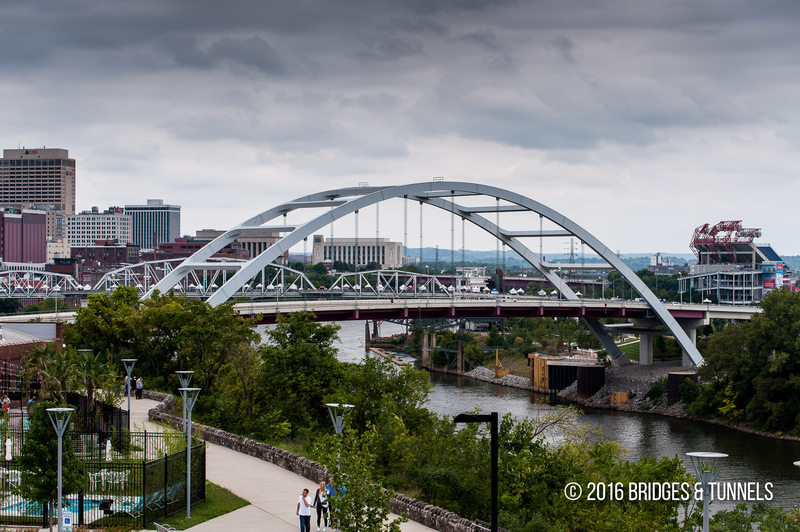 The Gateway Bridge,also referred to as the Korean War Veterans Memorial Bridge, carries Gateway Boulevard over the Cumberland River in downtown Nashville, Tennessee. 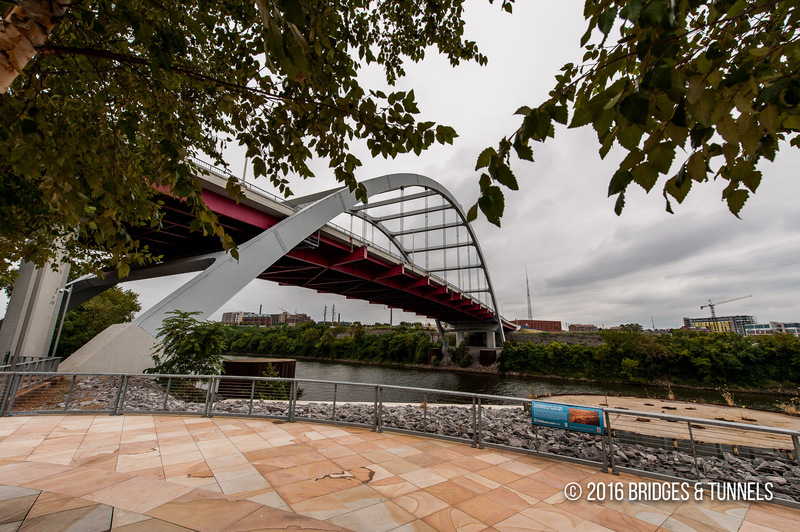 The six-lane crossing was constructed by Bell & Associates and opened in May 2004 1 at a cost of $29 million.2 The new bridge featured 5.9 million pounds of structural steel, 46,000 bolts, 72 cables for a total of 4,589 feet of cabling, 2.15 miles of concrete beams and 5,688 yards of concrete.1 It replaced the Shelby Street Bridge which closed to vehicular traffic in 1998 and became a pedestrian-only crossing in 2003. 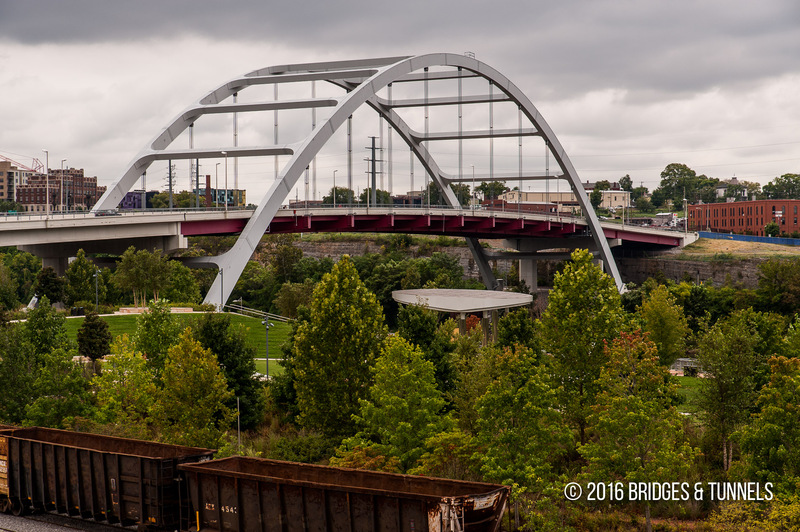 The bridge won top honor in the “Major Span” category in the National Steel Bridge Alliance competition in August 2005.1 In November, it was listed number 9 in Road & Bridge’s magazine’s Top 10 Bridges List for 2005. 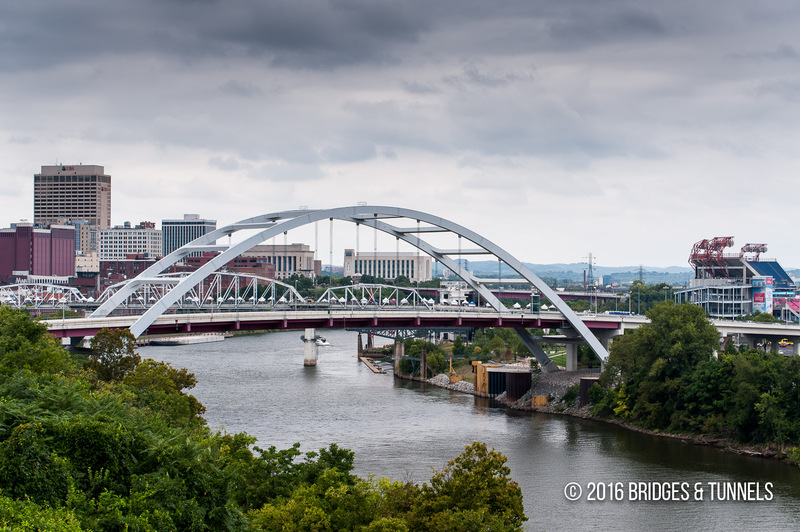 “Gateway Boulevard Bridge.” Nashville.gov. 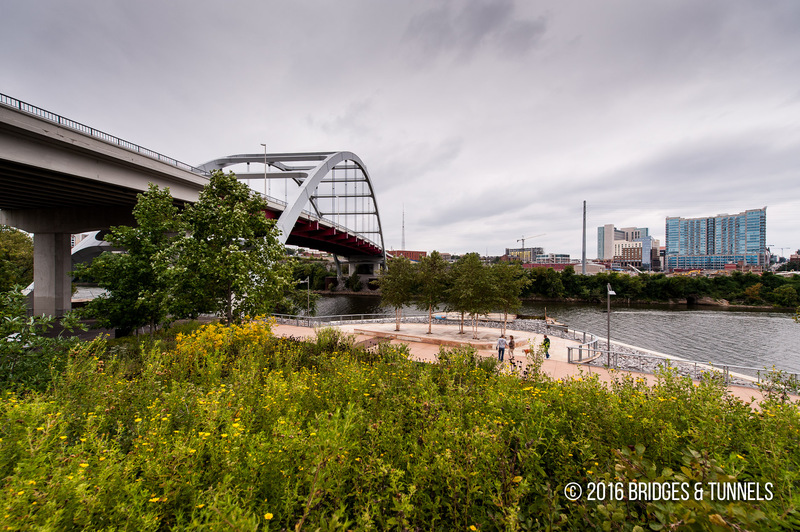 Metropolitan Government of Nashville and Davidson County, Tennessee, n.d. Web. 18 Sept. 2014. Article. 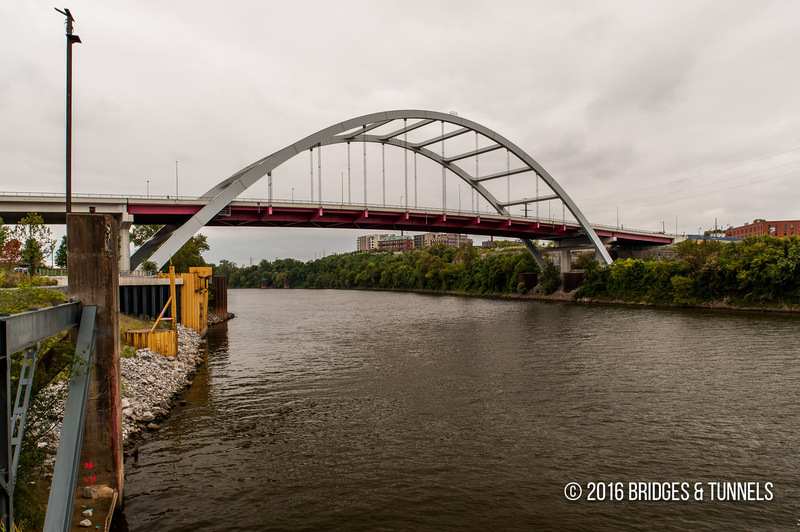 “Gateway Bridge.” Wilson & Associates, n.d. Web. 18 Sept. 2014. Article.